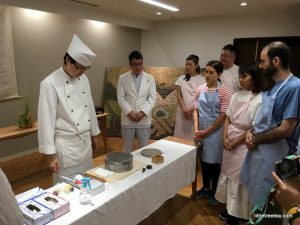 Welcome to our Japan Tea Tour 2018! 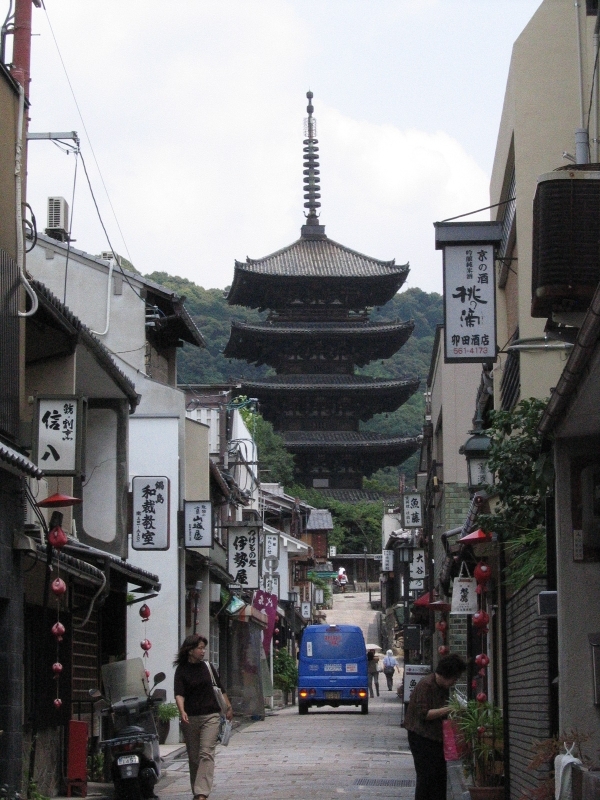 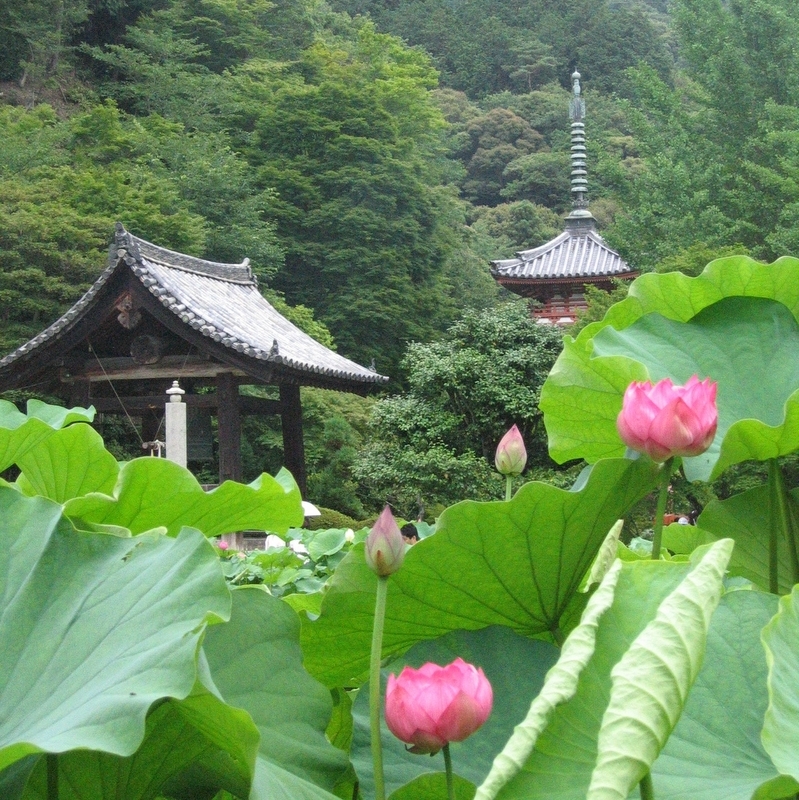 This tour includes visits to Uji, Shizuoka, Shiga, and Kyoto. 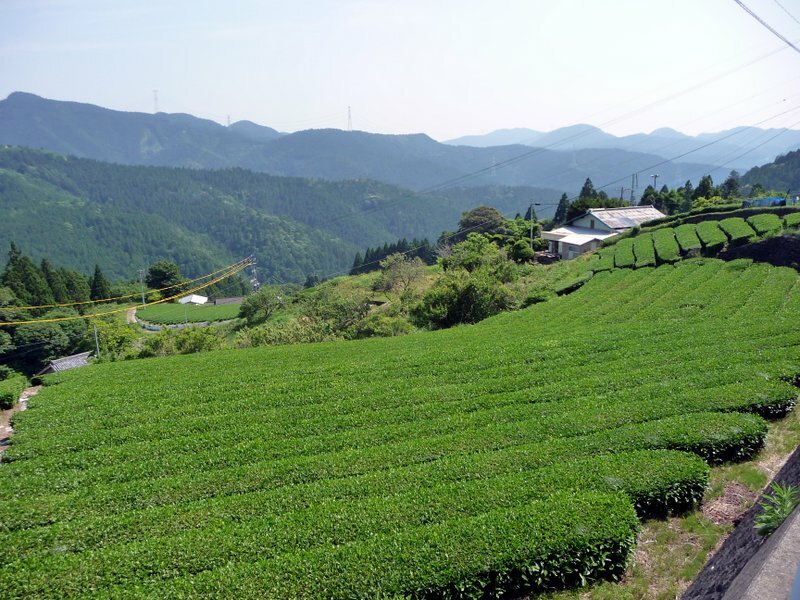 You will get to explore the complex and fascinating tea culture of central Japan. 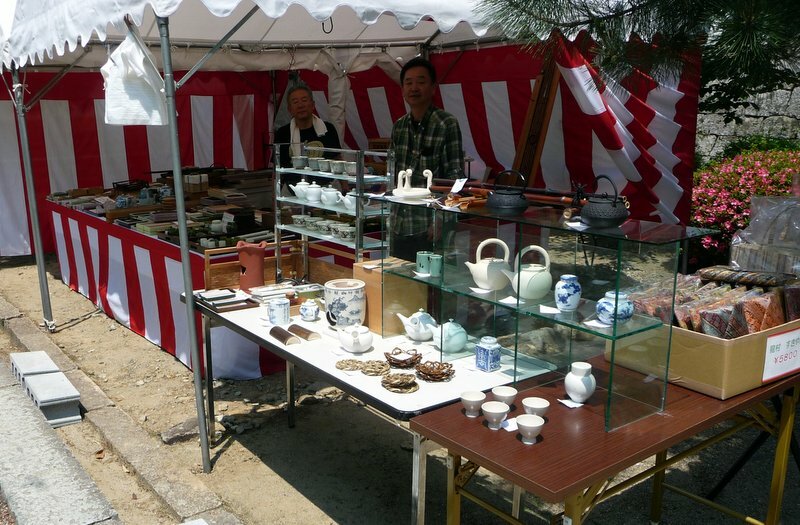 The reservation window for this years Japan Tea Tour is now closed. 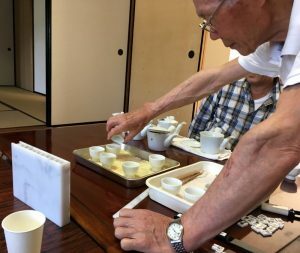 We’d love for you to join us on our Japan tea Tour in 2019! 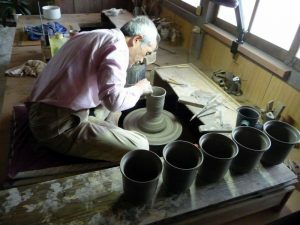 Visit our reservation request page for more info or to sign up. 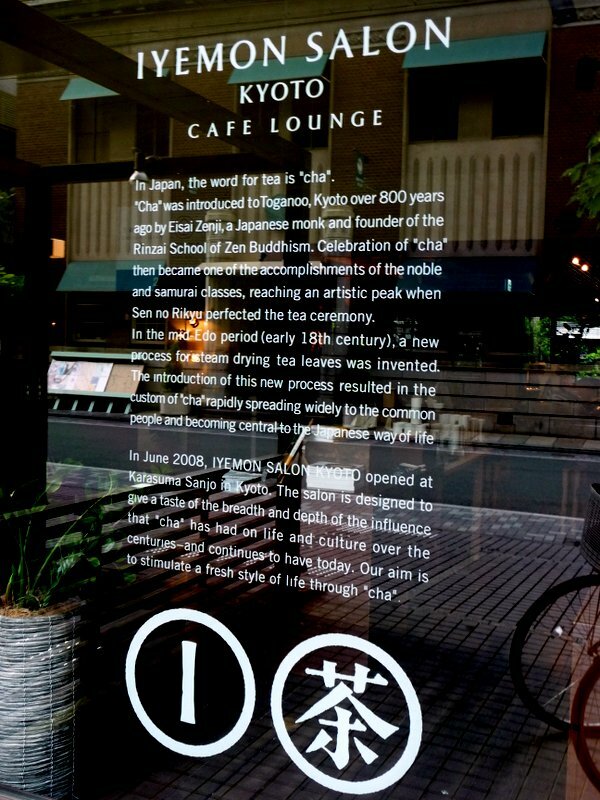 -Depart home airport. 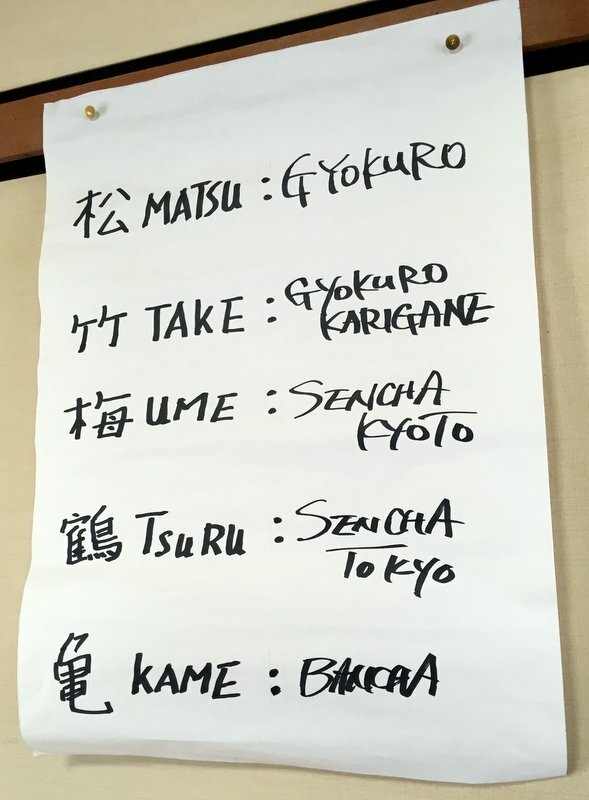 All flights need to arrive in Osaka Airport (KIX) by 3pm on May 13th. 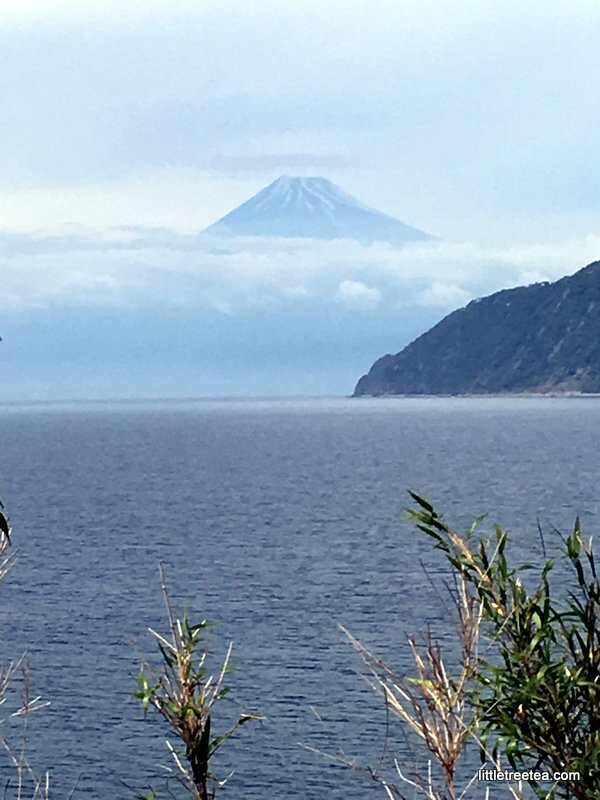 Depending on where you are traveling from, you may need to leave your home airport on the 11th. After enjoying breakfast in our hotel, we will check out and travel by private bus to an old Japanese Garden. 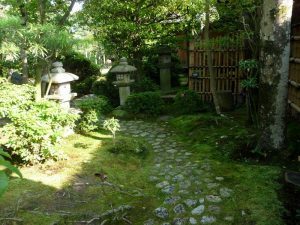 We will tour the beautiful garden and marvel at the exquisite, and uniquely Japanese, landscaping techniques. 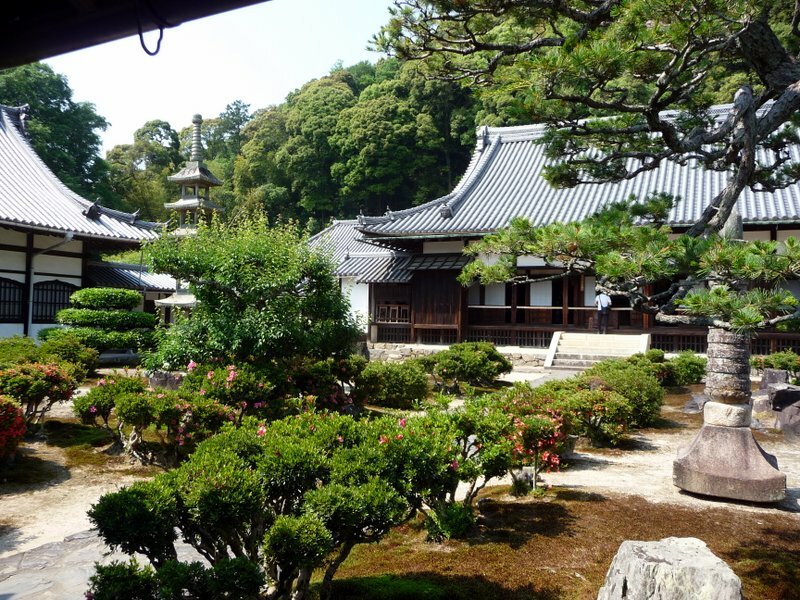 The grounds of this peaceful garden are filled with precisely trimmed trees, fountains, small pagodas, Japanese topiary, and old tea houses. 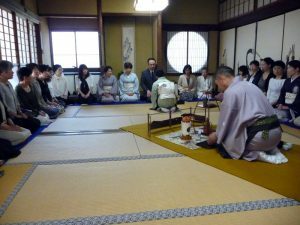 After touring the grounds, we will gather in one of the traditional old tea houses and experience the formal Japanese tea ceremony for ourselves. 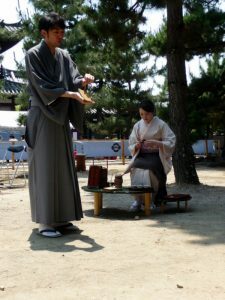 With the help of a local teacher, we will participate in, and learn all about, the Japanese tea ceremony (Chanoyu). 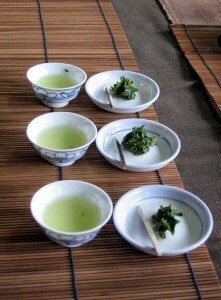 An experienced tea master will prepare a bowl of Matcha (powdered green tea) for us to enjoy in a formal setting. 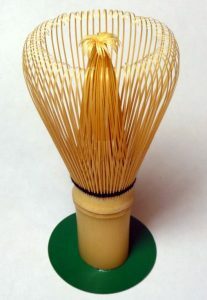 We will get a chance to learn the intricacies of hosting a guest in a traditional tea house, making and serving a proper bowl of Matcha with the appropriate tools and techniques, and showing respect towards an ancient culture and tradition. 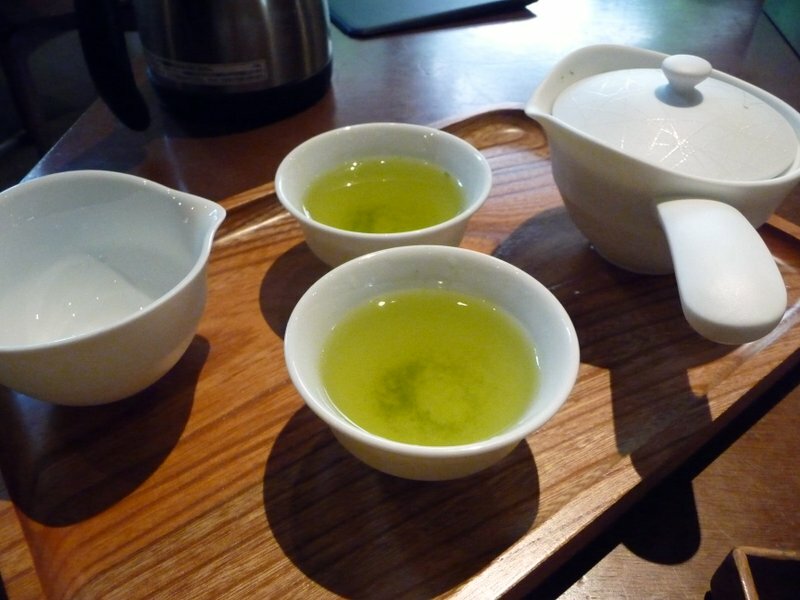 This is the perfect start to an exploration of Japanese tea! 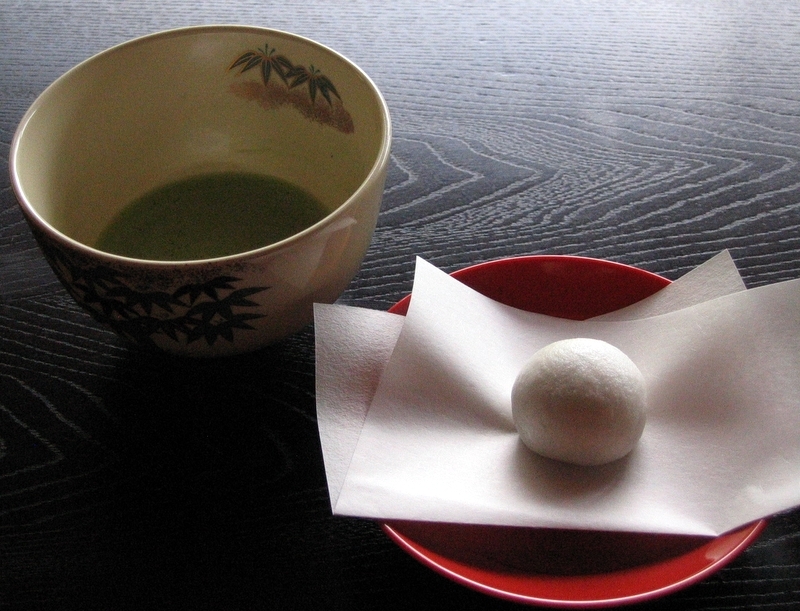 After our wagashi lesson and tea ceremony, we will travel to the Koyamaen Matcha Factory. 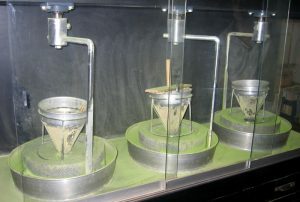 Here we will see how the most honored Japanese green tea, Matcha, is made. 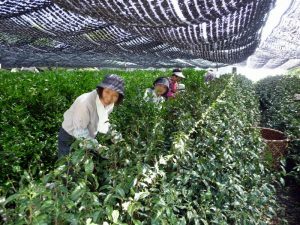 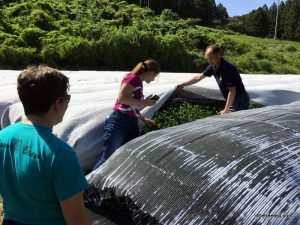 We will see how the fresh leaves are processed, ground into fine green powder, and packaged for sale. 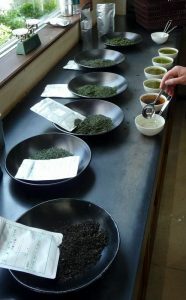 We will also learn the perfect method for making a proper bowl of Matcha green tea. 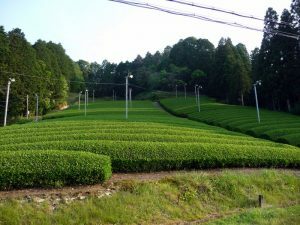 The Koyamaen Matcha Factory is on the outskirts of Uji, which is also where we will be staying for the next few days of the tour. 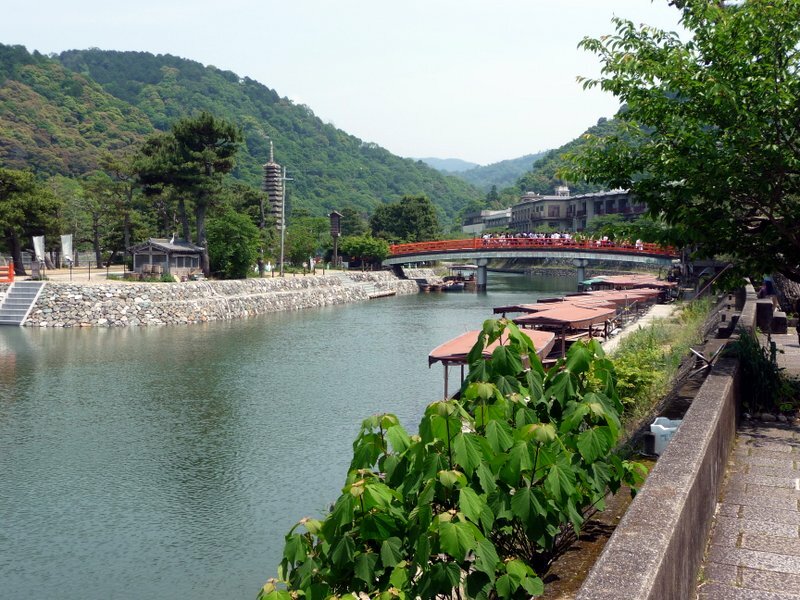 Uji is the birthplace and cultural center of Japanese tea. 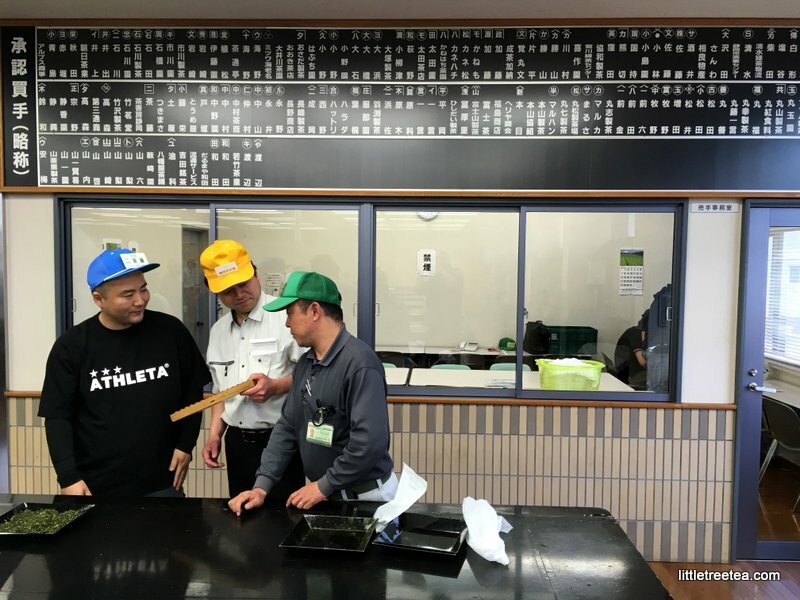 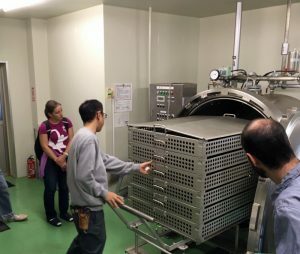 After our Matcha factory tour, we will be taken to our Ryoken in Uji for check-in. 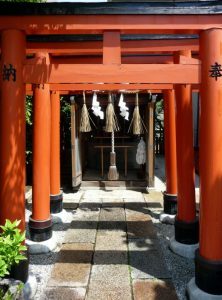 A Ryoken is a traditional Japanese inn. 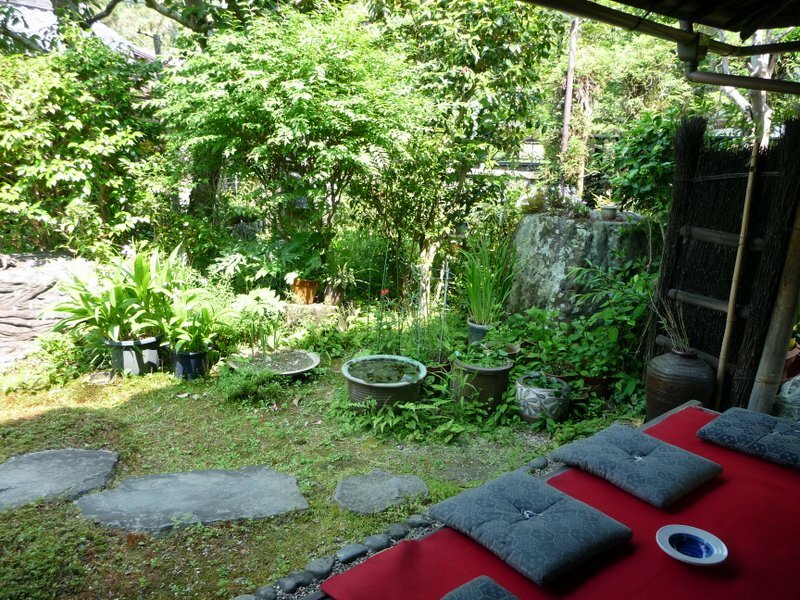 Think bed and breakfast, but Japanese style. 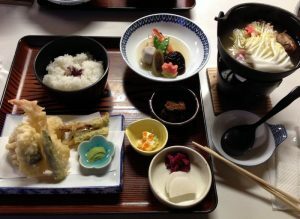 Although quite different from a western hotel, a ryoken stay is a quintessential Japanese experience and should not be missed. 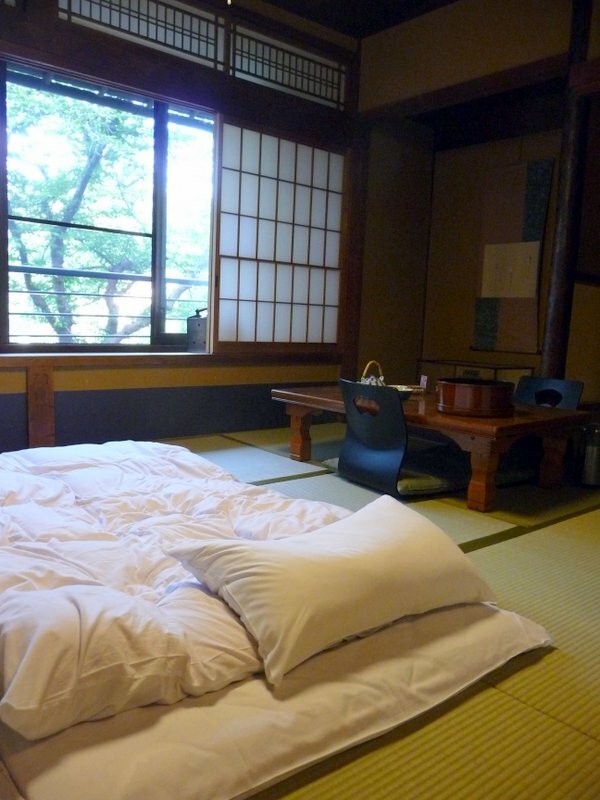 Each guest is given a Japanese robe for lounging and traditional futon mattresses rest simply on tatami floors. 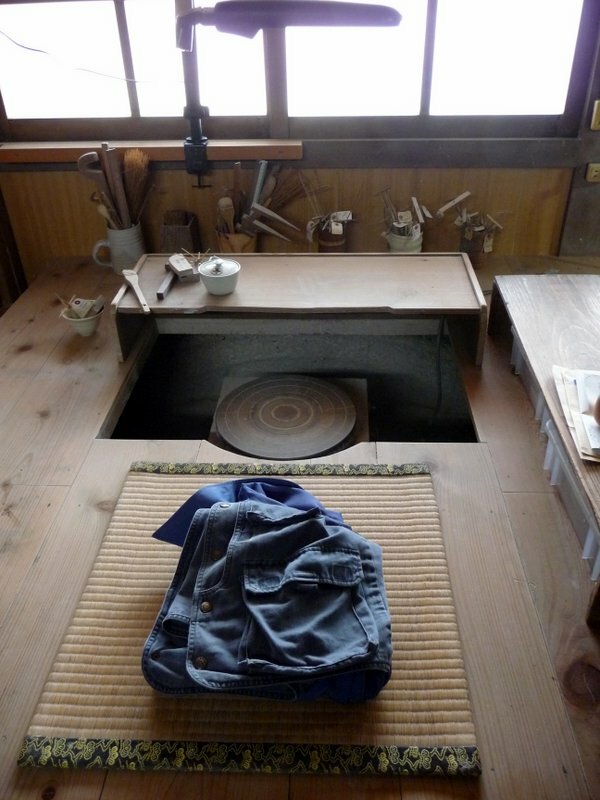 Our Ryoken in Uji is very simple and rustic with shared bathrooms and shared Japanese baths only.